30 Jun 2015: Lights, camera… and a crew of hysterical PR gurus and government ministers bursts onto the set, screaming at one another to get ready before the president arrives. The wheel of time has been set in motion. For the next hour and a half, we are taken to a reimagined Chile in 1973. Staged by Teatro La Re-sentida as part of The OPEN Festival, The Imagination of the Future is a masterpiece. In order to truly appreciate its genius, however, it’s worth taking some time to understand the history and context within which the play is set. In a nutshell, Salvador Allende became the president of Chile in 1970, and while he implemented a series of programmes that improved the lives of many lower- and middle-class citizens, not everyone welcomed his socialist agenda. A coup was finally staged on September 11, 1973, when the military bombed the presidential palace. Allende made a famous farewell speech live on radio, and then chose to commit suicide rather than resign or surrender. The 17-year dictatorship that followed was one of the darkest and most brutal chapters in South America’s history. In the Chilean company’s play – which is performed in Spanish with English surtitles – the cast takes the key events that happened in the last days of Allende’s rule and fills in the blanks with a series of ‘what-if’s in a last-ditch attempt to save his vision and his life. It never pretends to be a history lesson, and yet by taking things to the absolute extreme, Imaginationis able to tackle the past, present and future all at once. It’s especially relevant now as what’s known as the ‘Chilean winter’ – a wave of student protests against income inequality and the lack of public universities – has been sweeping through the country in recent years after decades of silence. The play daringly portrays the legendary figure of Allende as a droopy but stubborn old man with a penchant for cocaine, who needs to take regular 30min naps. His team of young communication specialists and ministers, by contrast, is fuelled by a different type of Coke (of the Diet variety), and obsessed with how best to market his image. Not a dull moment can be found in this high-energy performance, which is deftly directed by Marco Layera. At times, the manic disorder and exaggerated shouting can get a bit much, but those scenes are thankfully balanced out by quieter moments that give the audience time and space to grasp the gravity and inevitability of the troubles. Intensely funny and tragic at the same time, Imagination is not the kind of work that we can simply sit back and enjoy. Visually, we’re constantly assaulted with chaos in the form of fistfights and graphic descriptions of Pinochet’s horrific regime. Morally, it raises a series of challenging questions. How would you spend $50: to help a child in need, or to see a woman take her clothes off? Can revolution and democracy ever go hand in hand? What is the role of the media in presenting a country’s history? So much ground is covered in such a short period of time, but the actors remain committed throughout, the performance is well paced, and it never shies away from the heart of those difficult issues. And even though the play itself offers neither answers nor respite, its bold gestures and colourful scenes will linger on, vividly replaying in our minds long after the curtain falls. After a one-year hiatus, the former Singapore Arts Festival is back with a new name, a new team and a new public engagement initiative that begins this month. Gwen Pew learns more. 23 Jun 2014: It was 2012, and after spending 35 years on the scene, the Singapore Arts Festival went through something akin to a mid-life crisis. It was still putting out good works, but things felt mundane and it was making an increasingly worrying financial loss, so the sensible decision was to take a one-year sabbatical to consider its next step. Now it’s back, rebranded as the Singapore International Festival of Arts (SIFA) and promising to be bigger and better than ever. Aside from the name change (making it ‘International’), the reins were also handed over by the National Arts Council to the newly-founded independent company, Arts Festival Limited. 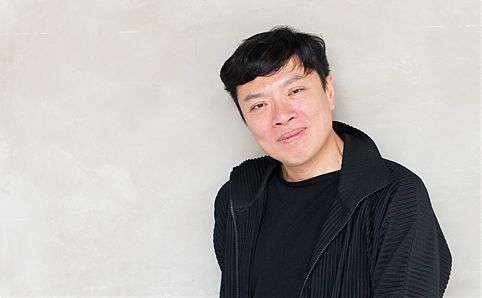 As part of the new line-up, the former director of the National Museum of Singapore, Lee Chor Lin, and Cultural Medallion winner and TheatreWorks’ artistic director, Ong Keng Sen, are in charge as CEO of Arts Festival Limited and festival director respectively. True to its new name, this year’s edition, which will commence on 12 August, consists entirely of shows that are brought in from around the world – with highlights including Martha@… The 1963 Interview by Martha Graham impersonator Richard Move, The Chorus; Oedipus written by Korea’s Han Areum and a highly stylised version of Peter Pan by the late German playwright Bertolt Brecht’s acclaimed Berliner Ensemble. However, in order to draw in new crowds and stand out from other major theatre festivals that have since sprung up (such as the M1 Fringe Festival by The Necessary Stage and The Studios by the Esplanade), Ong recognises that SIFA must bring more to the table. And that’s where The OPEN comes in: a 17-day pre-festival starting this month that aims to help prospective audiences understand the key themes that will be tackled in the plays. ‘I believe that the festival should nurture and share a framwork for discovering performing arts,’ says Ong. ‘This is what The OPEN promises to be – [a place] where you discover the issues of the festival through a multitude of ways: films, exhibitions, performances, brunch talks and beginners’ guides.’ While everything in The OPEN is meant to supplement the 13 main SIFA performances starting in August, there are plenty of major draws on their own, including two performances by Richard Move (who will dance and explain four notable Martha Graham solos) and several Brecht-influenced performance groups, such as Theatre Seongbukdong Beedoolkee, who present an interpretation of the Greek tragedy Medea. All that sounds good so far – and of course, this is just the beginning. Ong will be helming SIFA for four years, and he already has the themes worked out: this year’s programme is centred on the past, while 2015 will focus on the present (‘the theme is “post-empire” – I see it as the “now” edition. Singapore and the world are in a “post”-era: post-globalisation, post-colonial, postnuclear…’), and 2016’s theme is entitled ‘New Trajectories/New Traditions’ with an eye towards the future. And for the fourth year? ‘It will be the wildcard, or the joker!’ he laughs. Stay tuned to find out what’s in store, but for now, expect great things coming your way.